Drilling brass - what a pain. 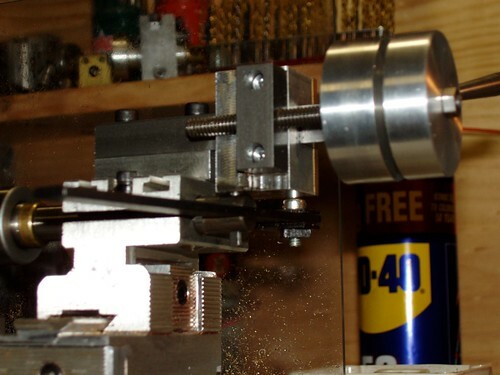 So I made this tailstock screw feed so I could drill without grabbing and measure distance a little more accurately. Drawings available for this project here. Carriage slides on ways bar and has a small pin that fits into the pivot hole that the split pin goes into. 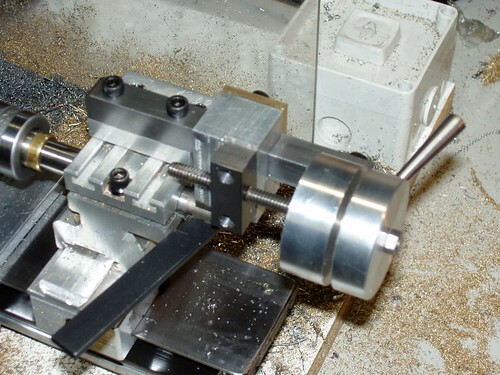 To remove the assembly to use lever feed is matter of removing the two screws that hold the ways bar to the mounting plate and lifting the whole assembly off. View from slightly underneath. The pin can be seen protruding from the carriage block thru the lever and ram.